For the strictly technical, but also highly-delicate task of tree removal in Richmond, VA – turn to Ridgeline Tree Service. Our team of experienced and qualified professionals will assess the requirements of your outdoor space in terms of maintaining optimal health and aesthetics. 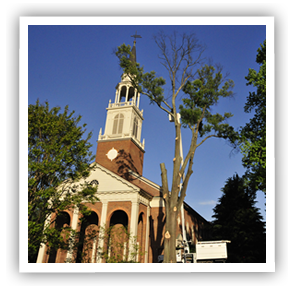 Fill out the form below for a free quote on Tree Removal services in the Richmond, VA area. Often times tree removal is vital to the upkeep of the environment as certain specimens can interfere with the growth of smaller shrubs or trees. Competing for resources can leave most plants struggling to develop and mature. Even if alive, sometimes a tree needs to be removed – especially when it is a safety hazard. 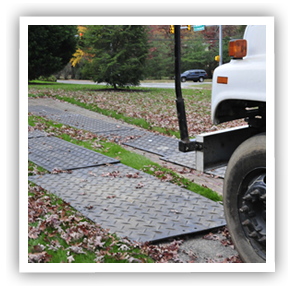 The most common cases are when it is obstructing driveways, buildings, utility wires, or other trees. Regular tree pruning in Richmond, VA usually ensures such drastic measures won’t need to be undertaken, but removal may still be unavoidable in some instances. The highly-skilled arborists at Ridgeline Tree Service are adept at assessing the individual circumstances of your outdoor environment and offer suitable alternatives should you feel cutting down a tree is not an option. One of the best alternatives we offer is our cabling & bracing service. This process creates strong artificial support for structurally weak branches and trunks, and will often help prevent injuries to trees (such as branch failure) and improve their resilience to storm damage. This type of structural support ultimately helps to ensure the longevity of trees, and can improve their well-being. Combined with proactive pruning, this helps maintain trees in good health. It is highly recommended that you leave it up to certified professionals to carry out the tricky and delicate job of removing a tree from your outdoor space. According to official data from the US Bureau of Labor Statistics, tree work can be very dangerous. Large tree removal requires specific equipment and training, as well as a careful approach to ensure no other structures on your property are interfered with or damaged. Ridgeline Tree Service will assess the condition of your trees and help you decide on the best course of action for the trees that may need to be removed. Our standard Richmond tree removal service consists of taking down the tree, chipping all brush, cutting the stump as close as possible to the ground, and a detailed cleanup. If you choose, Ridgeline also provides stump removal. It is always our goal to leave your property in better condition than before we started your project. The average cost of a tree removal in Richmond can depend on size, condition of the tree, as well as the complexity of the job. Trees located in inaccessible locations or close to utility wires require a higher degree of dexterity and experience, and can affect price. 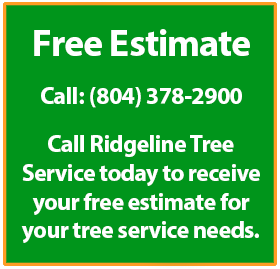 Inquire today for a free estimate from your local Ridgeline Tree Service office, and our certified and fully-trained staff will visit your property for a complimentary consultation.